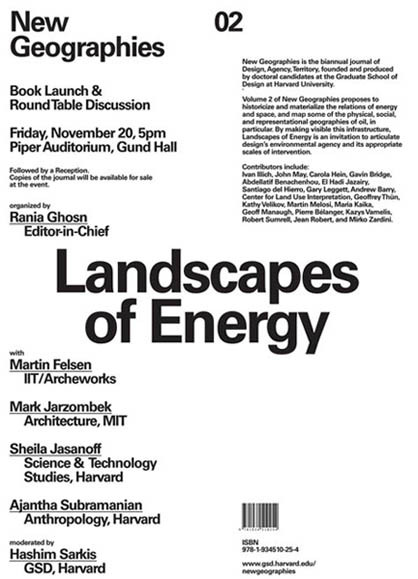 Tonight in Cambridge, Massachusetts, New Geographies will be kicking off its second issue, "Landscapes of Energy," with a launch party and panel discussion. The new issue includes many contributors, ranging from Kazys Varnelis and Mirko Zardini to the Center for Land Use Interpretation and Carola Hein, and it was edited by Rania Ghosn. [Image: Some page spreads from the new issue, designed by Thumb]. Things kick off at 5pm tonight—Friday, November 20—in Piper Auditorium, Gund Hall, 48 Quincy Street, Harvard. Be sure to stop in and say hello! Signaled by Geoff Manaugh from BLDBLOG: the launch of the second issue of a magazine (New Geographies) about speculative/critical geography that looks interesting. A giant "digital cloud" that would "float" above London's skyline has been outlined by an international team of architects, artists and engineers. The unconventional structure was originally envisaged as a centre piece of the city's Olympic village. "It's really about people coming together to raise the Cloud," Carlo Ratti, one of the architects behind the design from the Massachusetts Institute of Technology (MIT) told BBC News. "We can build our Cloud with £5m or £50m. The flexibility of the structural system will allow us to tune the size of the Cloud to the level of funding that is reached." Paola Antonelli, senior curator of architecture and design at the Museum of Modern Art in New York who has seen the design described it as a "sculptural spectacle" and "a celebration of technology". The Cloud was shortlisted in a competition set up by London Mayor Boris Johnson. 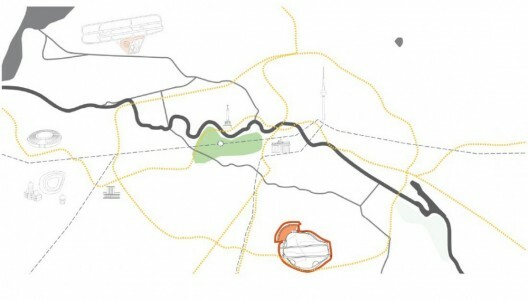 The mayor has committed to build a tourist attraction in the Olympic Park "with a legacy for the east end [of London]". Other finalists are thought to include the former Turner prize winner Anish Kapoor and Antony Gormley, the designer of the Angel of the North. The mayor is still in the "process of deciding" which design will be commissioned, according to a spokesperson. However, the team, which also includes the writer Umberto Eco and engineers from Arup, has decided to push ahead and publish details of its design. The structure draws on work by artist Tomas Saraceno, a German-based designer who has previously shown off huge inflatable sculptures. It is envisaged that the spheres would be made of a plastic known as Ethylene tetrafluoroethylene (ETFE), the material used to build the Beijing Aquatic Centre. The different spheres would act as structural elements, habitable spaces, decoration and LCD screens on which data could be projected. "We could provide a custom feed of… searches made by Londoners during the Olympics to give a real time 'barometer' of the city's interests and mood," said Google, one of the supporters of the project, which has also offered to provide the information feeds. The team also envisage projecting weather information, spectator numbers, race results or even images of the Olympic Torch on to the building. Ramps, stairs and lifts would carry people to the top of the structure to look out over the city. 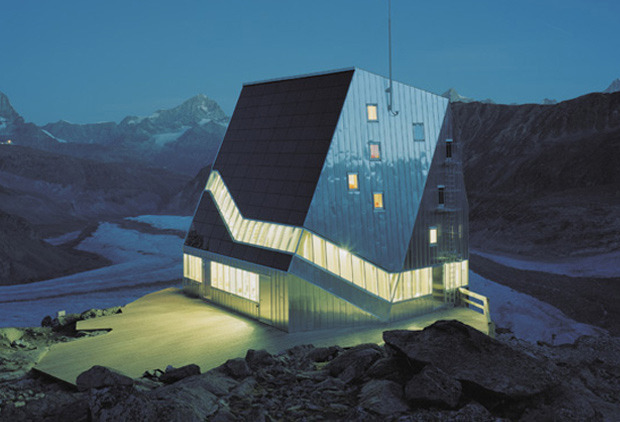 The inflatable elements of the building would sit on top of slender, lightweight towers, stabilised by a net of metal cables. Damping technology, similar to that used in Japanese skyscrapers to resist earthquakes, would prevent the towers being buffeted by the wind. "Many tall towers have preceded this, but our achievement is the high degree of transparency, the minimal use of material and the vast volume created by the spheres," said professor Joerg Schleich, the structural engineer behind the towers. "It would be a zero power cloud," he said. As well as solar cells on the ground and inside some of the spheres, the lifts would use regenerative braking, similar to that in some hybrid cars. That way, the designers say, potential energy from visitors to the top of the tower can be harnessed into useful electricity. The team have launched a fundraising website called raisethecloud.org and are now looking for a site for the tower. Google has already offered to provide free advertising for the so-called "cloud-raising" effort. The firm has offered a sponsored link at the top of the page advertising a "£1 for 1 pixel" concept to people who search for terms relevant to London 2012. "It will be a monument to crowd-sourcing," said Professor Ratti. Un "data" environment par Carlo Ratti (a.k.a. 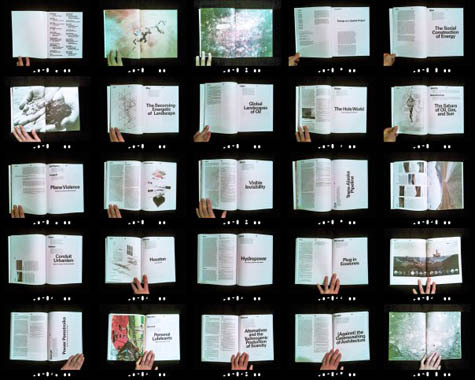 MIT SENSEable City Lab) et autres (Dan Hill - ARUP) dont le principe de financement est inspiré du 1$ / pixel web page. En soi, le projet me semble véhiculer une approche légèrement datée (visualisation-matérialisation de données et hybdidation physique-digital quelque peu forçée, il s'agit en fait plus d'un système de "visualisation") mais qui demeure intéressante. Reste que le projet signale clairement que ces thématiques, qui il y a 10 ans restaient totalement incomprises (l'influence du digital sur le physique, l'hybridation des univers matériels d'avec ceux immatériels-digitaux, en réseau ou non) arrivent aujourd'hui à maturité et sont donc aujourd'hui de mieux en mieux comprises et petit à petit intégrées. C'est encore innovant en tant que réalisation, mais compris en termes d'enjeux. German architect Jakob Tigges has projected a new and visionary landmark in Berlin. 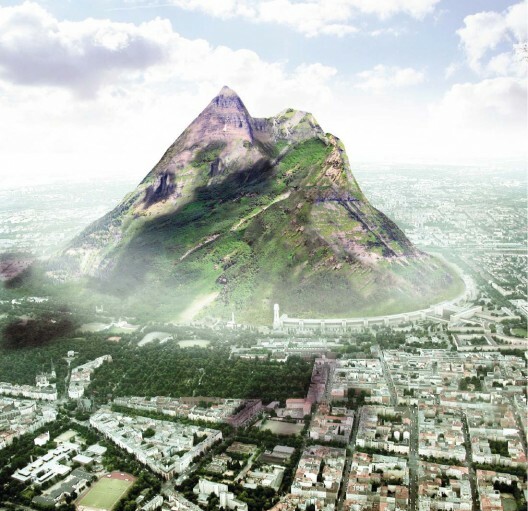 He plans to build a mountain of 1,000 meters high called “The Berg”, which would become a never-before-seen tourist destination in the German capital city. Seen at Plataforma Arquitectura. More images and description after the break. 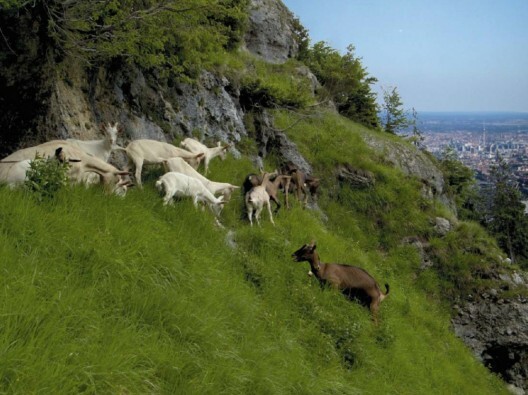 The objective is to create a natural habitat for the mountain’s wildlife and at the same time, become a recreation space for everyone in the city. 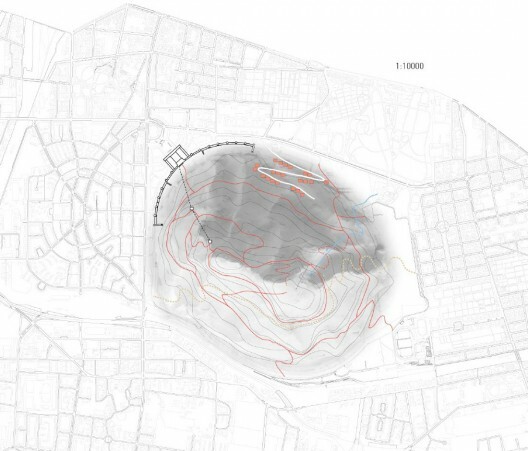 “The Berg” would take the place of the Tempelhof Airport, a space currently under discussion. Surprisingly, there’s a big group supporting “The Berg” and people are pressing to get the approval and financing of the project. Projet totalement irréaliste bien entendu. Par contre l'idée d'objet urbain "paysage" est assez intéressante (d'une certaine façon cela renvoie un peu au projet de NYC de réaménagement de l'ancienne voie de métro aérien en parc public --qui serait alors le pendant réaliste de ce projet de montagne--), l'imagerie que cela génère (qui encore une fois me rappelle un projet réalisé avec Philippe Rahm pour l'Université de Neuchâtel il y a 15 ans..., déjà mentionné ici) et le système écologique-climatique également.